Pohjanpalo was in Helsinki’s reserve team at only 16-years-old. 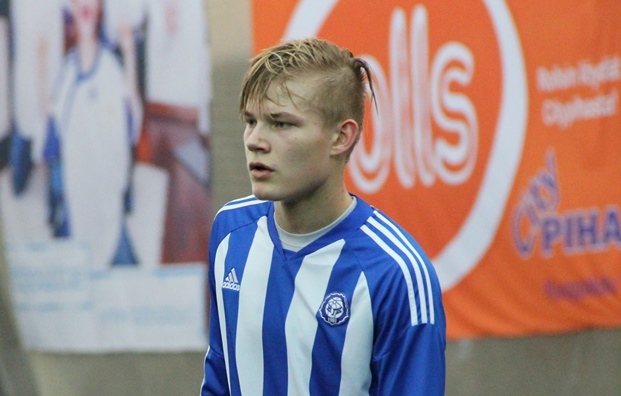 Liverpool have got their eyes on HJK Helsinki’s Joel Pohjanpalo to solve their striking crisis. Fabio Borini is out for three months and Andy Carroll is on-loan at West Ham United, making Luis Suarez their only fit first-team striker. Pohjanpalo is only 18-years-old but has been tipped for a bright future outside of his home country. He has also attracted interest from Borrussia Monchengladbach of the Bundesliga following impressive performances in Finland’s top flight. The Finland Under 21 international first appeared in Helsinki’s reserve ranks as a 16-year-old where he scored a record-breaking 33 league goals in 21 appearances. He earned a new contract in December 2011 keeping him in the Finnish capital until 2015. Brendan Rodgers tried to sign Pohjanpalo in the summer but the striker turned down a three-year contract with the Merseyside club. Liverpool have also failed in their bid to sign Hamburg striker Son Heung-min.